Translation: Eri Tsuji, ProArt Gallery covers a wide spectrum. 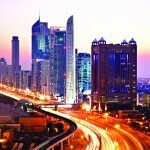 It is nestled in the Palm Strip Mall, opposite to famous Jumeirah Mosque. Upon entry to the gallery, visitors are greeted by a special showcase of Osler and Baccarat chandeliers and other Oriental and European crystal artefacts. It is easy for a casual visitor to think that you’re in the wrong place. However, further into the gallery you will find more than 200 artworks from 15 different countries. 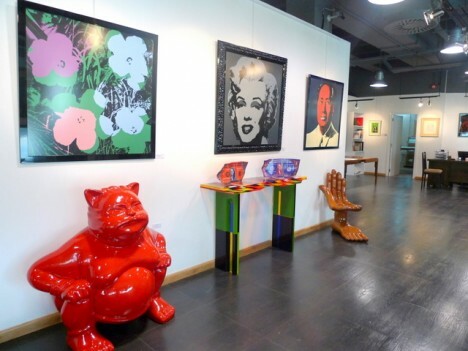 In addition, there’s a healthy collection of street art – the gallery held Dubai’s first exhibition of the emerging genre in 2011. Their wide variety of collection covers lithographs, paintings and sculptures from masters such as Picasso, Dali, Chagall, Botero, Husain, Souza, Arman, Gen Paul, Dufy, Buffet, Hilaire, Marino Marini, Zao Wou-Ki, Romero Britto. The collection ranges from one-of-a-kind artworks to the more affordable limited edition replicas, whether in photography or sculpture. ProArt Gallery also organizes lectures and conferences as well as contemporary Artists exhibitions. Another unique service that this gallery offers is one of the best framing services in the country for your art.